Syrian conflict attracts fighters from around the world to intervene. During the Spanish civil war of 1936, a news story reported the deaths of 82 Moroccans, 53 Italians, 48 Russians, 34 Germans, 17 Englishmen, 13 Americans and 8 Frenchmen. Also one Spaniard. “Serves him right,” people in Madrid commented, “Why did he interfere?” Similar things could now be said about the civil war in Syria. Shiites from all over the Muslim world stream into Syria to help Bashar al-Assad’s dictatorship to survive, while Sunnis from many countries hasten there to support the rebels. The implications of this go well beyond the bloody Syrian struggle. It is a historic revolution, region-wide and perhaps world-wide. After the First World War, the victorious colonial empires carved up the territories of the vanquished Ottoman Empire among themselves. Since colonialism was out and self-determination was in, their new colonies were dressed up as independent nations (like Iraq) or as nations-to-be (like Syria). European-style nationalism took hold of the new Arab nations. The ancient idea of the pan-Muslim “Umma” was pushed away. Syrian nationalism, Iraqi nationalism, Egyptian nationalism and, of course, Palestinian nationalism won. European-style nationalism took hold of the new Arab nations. The ancient idea of the pan-Muslim “Umma” was pushed away. The idea of a pan-Arab super-state, propagated by the Baath party and Egypt’s Gamal Abd-al-Nasser, was tried and failed. Syrian nationalism, Iraqi nationalism, Egyptian nationalism and, of course, Palestinian nationalism won. It was a doubtful victory. A typical Syrian nationalist in Damascus was also a part of the Arab region, of the Muslim world and of the Sunni community — and the order of these diverse loyalties was never quite sorted out. This was different in Europe, where the national loyalty was unchallenged. A modern German could also be a Bavarian and a Catholic, but he was first and foremost a German. During the last decades, the victory of local nationalism in the Arab world seemed assured. After the short-lived United Arab Republic broke up in 1961 and Syrians proudly displayed their new Syrian passports, the future of the Arab nation-states looked rosy. Not any more. To understand the immense significance of the present upheaval, one has to go back in history. Two thousand years ago, the modern idea of “nation” was unthinkable. The prevalent collective structure was the ethnic-religious community. One belonged to a community that was not territorially defined. A Jewish man in Alexandria could marry a Jewess in Babylon, but not the Hellenic or Christian woman next door. Under Roman, Byzantine and Ottoman emperors, all these dozens of sects enjoyed a wide autonomy, ruled by imams, priests and rabbis. This is still partly the case in most former Ottoman territories, including Israel. The Turks called these self-governing sects “millets”. The German historian Oswald Spengler, in his monumental The Decline of the West, asserted that great cultures were like human beings – they are born, grow up and die of old age within a thousand years. Middle-Eastern culture, according to him, was born around 500 BC and died with the decay of the Muslim Caliphate. Judaism, which was born in the Babylonian exile around 500 BC, was just one sect among many. Arnold Toynbee, the British historian who espoused a similar theory, claimed that today’s Jews were a “fossil” of this obsolete culture. What happened later was that European societies went through many stages, the latest being that of the “nation”. In Europe, the Jews were a sinister and hated anomaly because they clung to their former existence as a homeland-less, dispersed ethno-religious sect. This was done quite consciously. The rabbis erected a “fence around the Torah”, separating Jews from everybody else, making it impossible for them to eat with non-Jews or marry them. Jews orginally congregated in ghettos because of their need for a Synagogue they could walk to on the Sabbath, public bath (Mikvah) etc. When the situation of the nation-less Jews in nationalist Europe became increasingly difficult, Zionism was born. By a sleight-of-hand it postulated that Jews were not only an ethno-religious community, but at the same time also a “nation like other nations”. This was a necessary fiction, until Zionism succeeded in creating a real nation – the Israelis. With the founding of the Israeli state, the Zionist doctrine lost its purpose and should have been dismantled, like the scaffolding of a finished building. With the founding of the Israeli state, the Zionist doctrine lost its purpose and should have been dismantled, like the scaffolding of a finished building. Everybody expected this to happen in due course – Hebrew Israelis would be a “normal” nation, and their connection with the Jewish world would become secondary. Today we are witnessing a kind of Jewish counter-revolution. In Israel there is a comeback of the world-Jewish connection, while separate Israeli nationhood is denied. It is a reversal of Zionism. The events in Syria indicate a similar process. Throughout the region the ethno-religious community is coming back, the European-style nation-state is disintegrating. The colonial powers created “artificial” states with no consideration to ethno-religious realities. In Iraq, Arab Sunnis and Shiites and non-Arab Kurds were arbitrarily put together. In Syria, Sunnis, Shiites, Alawis (an offshoot of the Shia), Druze (another offshoot), Kurds and diverse Christian sects were put into one “national” pot and left to stew. In Lebanon the same was done, with even worse results. In Morocco and Algeria, Arabs and Berbers are put together. The Syrian civil war has united the Shiites — from Lebanon to Iran — in defense of the Alawite semi-Shia regime. The Sunnis from all over the place rally to the cause of the majority Sunnis. Now the ethno-religious sects are uniting — against each other. The Syrian civil war has united the Shiites — from Lebanon to Iran — in defense of the Alawite semi-Shia regime. The Sunnis from all over the place rally to the cause of the majority Sunnis. The Syrian Kurds have already created a de facto joint state with the Kurds in Iraq. The Druze, more dispersed and customarily more cautious, are awaiting their turn. In the Western world, the obsolescent nation-state is being superseded by supra-national regional confederations, like the EU. In our region, we may be reverting to the ethno-religious sects. It is difficult to foresee how this will work out. The Ottoman millet system could function because there was the overall imperial rule of the Sultan. But how could Shiite Iran combine with the majority Shiites in Iraq, the Shiite community in south Lebanon and other Shiite communities in a joint entity? What about the dozen Christian sects dispersed across many countries? Some people believe that the only viable solution for Syria proper is the disintegration of the country into several sect-dominated states – a central Sunni state, an Alawite state, a Kurd state, a Druze state, etc. Lebanon was also a part of Syria, until the French tore them apart in order to set up a Christian state. 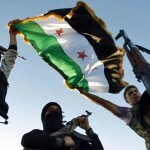 The French created several such little states, in order to break the back of Syrian nationalism. It did not work. The disintegration of the existing states may be accompanied by wholesale massacres and ethnic cleansing, as happened when India broke apart and when Palestine was partitioned. It is not a happy prospect. Toynbee, by the way, did not only consider the Jews as a fossil of the past, but also as the harbinger of the future. In an interview he granted my magazine, Haolam Hazeh, he expressed the hope that the nation-state would be superseded by world-wide ideological communities, like the Jewish diaspora. He may have been thinking of the communists, who at the time seemed to be turning into a world-wide supra-national community. That experiment failed, too. At present, a war is raging among Israeli historians. Professir Shlomo Sand is maintaining that the Jewish nation was invented (like all nations, only more so), and that the concept of Eretz Israel (the Land of Israel) is a Zionist invention as well. Now he also asserts that he is not a Jew, but an Israeli. Against these heresies, a whole phalanx of Zionist professors is in full cry. Since I never even finished elementary school, I wouldn’t dare to stick my head out and get caught up in the battle of the professors. I will, however, remark that I, too, object to sliding back into a world-wide Jewish sect and advocate the recognition of the new Israeli nation in Israel. Yes, we are an Israeli nation, a nation whose existence is bound to the fate of the State of Israel. This does not mean that those of us who are Jews have to disown our Jewish past, its traditions and values, and our connections with the world-wide ethno-religious Jewish community. But we have reached a new stage in our development. So, perhaps, have the Arab and other Muslim peoples around us. New forms are in the making. History shows that human societies are changing all the time, much as a butterfly develops from an egg into a caterpillar, from there to a chrysalis and from there to the beautifully colored adult. For the butterfly, that is the end. For us, I hope, this is a new beginning.